The lack of a marketing plan can significantly impact company growth! It seems obvious but, since we often get asked about it so often, we’re covering the main reasons why you need a marketing plan. When you develop a thoughtful, research-based strategic and tactical marketing plan, it’s one of the best tools for driving your business forward in good times and bad. If it’s done correctly, a marketing plan helps generate leads which can be converted to sales. Yet after decades of experience working as a marketing consultant, I still find that FAR too many business owners and managers, particularly for small and mid-size businesses who don’t bother to develop and deploy a marketing plan. There are many reasons why business owners don’t put a marketing plan in place: a lack of time; an uncertain political climate; the holidays; a business slow-down and more. 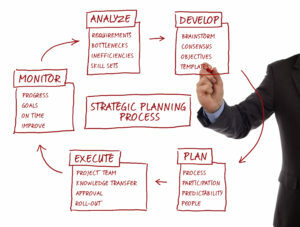 The good news is that it’s never too late to develop and deploy a thoughtful, strategic plan. Here are some compelling reasons why you need a marketing plan. Leads are the lifeblood of all businesses, as long as they’re targeted and appropriate. A good marketing plan carefully targets prospects, and offers up a sequenced set of strategies and tactics designed to generate business leads from the targeted prospects. On a practical note, a typical marketing plan’s primary focus and main goal should be to generate leads above all else. There’s a great Zen proverb that says: “If you don’t know where you’re going, any road will do.” This applies to marketing and business management as well as general life planning. Companies that develop and consistently implement a thoughtful marketing plan over the course of time are much more likely to actually achieve their goals. Unless it’s part of a marketing planning process, many companies don’t bother with critical research such as competitive research. However, any marketing plan worth its salt will have this research built into the process – and competitive research, along with other types of research, can have a significant effect on business and marketing planning. For example, if one of your competitors is in trouble, and you don’t know about it, you’re not in a position to take prompt action to capture that group of customers who will need to land somewhere. The bottom line is that you should develop a marketing plan whether you’re a million-dollar company or a one-person professional service company. If you don’t know what you need to hit in terms of revenues, and you have a plan for how you’re going to get there, you WON’T get there. Here are the five main options for development a marketing plan, and the options start with the lowest cost option (Option 1). Start with an outline of a proper marketing plan and use the outline as a roadmap to develop your own marketing plan. Another cost-effective approach is to develop your own marketing plan and then commission a marketing professional to help fine-tune it. You can save money by doing as much of your own marketing planning as possible and then bring in a marketing professional to review your plan, outline the areas that need improvement, make suggestions, and add ideas. The best approach that keeps everything fair and balanced for both parties is to pay for a specific amount of consulting time (whatever you feel you can afford) and then work with them to get as much info and feedback as possible within the consulting time you have purchased. There are some software programs being sold on the Internet that claim that you can simply fill in the blanks in the “template” document, and voila! You’re marketing plan is complete (or so they say). Some of these programs cost $200 or more…as an average price. The problem I have with these templates is that there’s often a marketing company that has developed the software, and they always offer “extra consulting” to go with the program. That tells me that these programs that supposedly automatically build your marketing plan for you are not as “plug-and-play” as they claim. 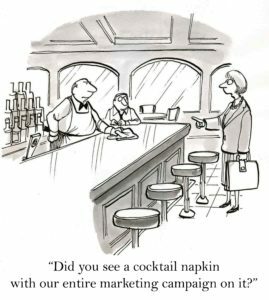 A “guerilla marketing” plan is a cost-effective, fast-track marketing planning process that involves doing fast-track research and making the best decisions and recommendations that you can based on small statistical samples and fairly minimal research. This can be done one of two ways: the marketing pro can build a plan based on a specific budget, and build a marketing plan that makes “highest and best use” of your marketing dollars. Or the marketing pro can build a marketing plan for you based on what they honestly think you should do to drive business, with sequenced activities in highest order of priority. 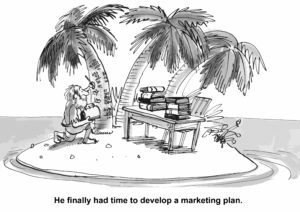 In many cases, you may not be able to afford to implement the whole plan in one year, but since it’s sequenced, it ends up being your marketing plan for 2-3 years. If you go this route, get a signed contract that outlines the process, the time it will take, the cost, and the exact deliverables you’ll get. Traditional marketing planning processes usually are reserved for big companies with big marketing budgets. A traditional marketing planning process involves extensive research in many areas: market size, competitors, focus groups, test marketing etc. While this marketing planning approach can be fast-tracked, it’s quite common that a traditional marketing planning process could take more than 3 months and typically cost more than a small to mid-sized business wants to spend. If you go this route, get a signed contract that outlines the process, the time it will take, the cost, and the deliverables you’ll get at the end of the process. Hopefully, we’ve helped you understand why you need a marketing plan, as well as your options for how to start the marketing planning process. Of note, DeWinter Marketing & PR offers marketing planning services, ranging from basic consultations on your marketing plan to development of fast-track or traditional marketing plans.